Search "Hoodie" 1 result has been found. 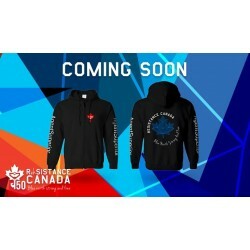 Show off your Resistance Canada pride in style with this hoodie! From anomalies to operations, this hoodie is the perfect companion. All hoodies come with your Agent Name on both sleeves, the Resistance Canada logo on the front left chest, and a maple leaf field on the back. Please indicate your agent name below before adding to cart.